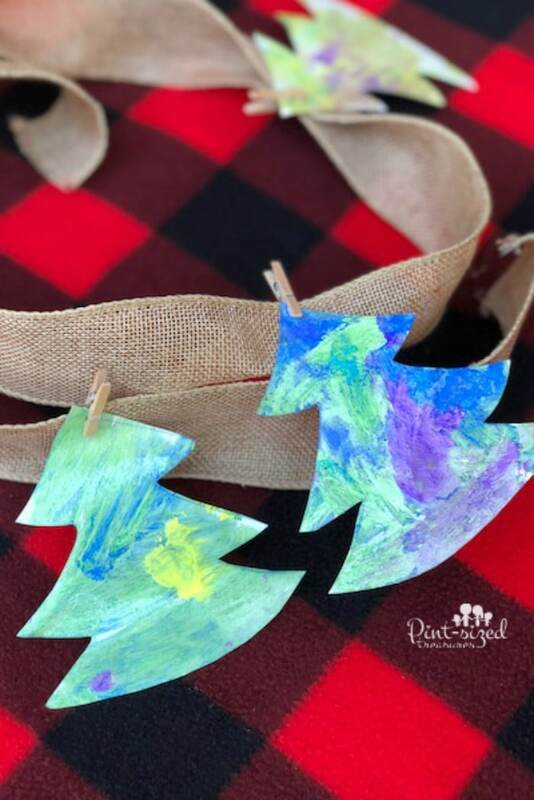 Thanks to Crayola and Mom it Forward for sponsoring this post so we could share a DIY Christmas Tree Garland that Kids can Make! 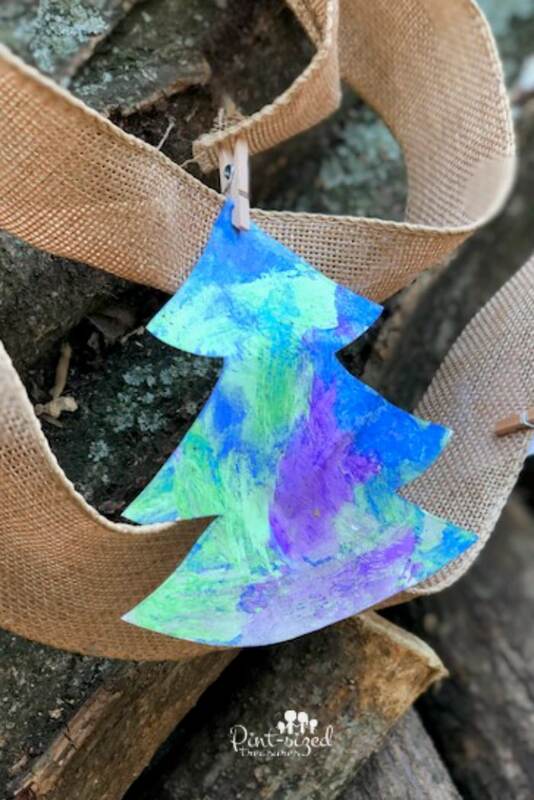 One of my favorite parts of Christmas is creating crafts with the kids! 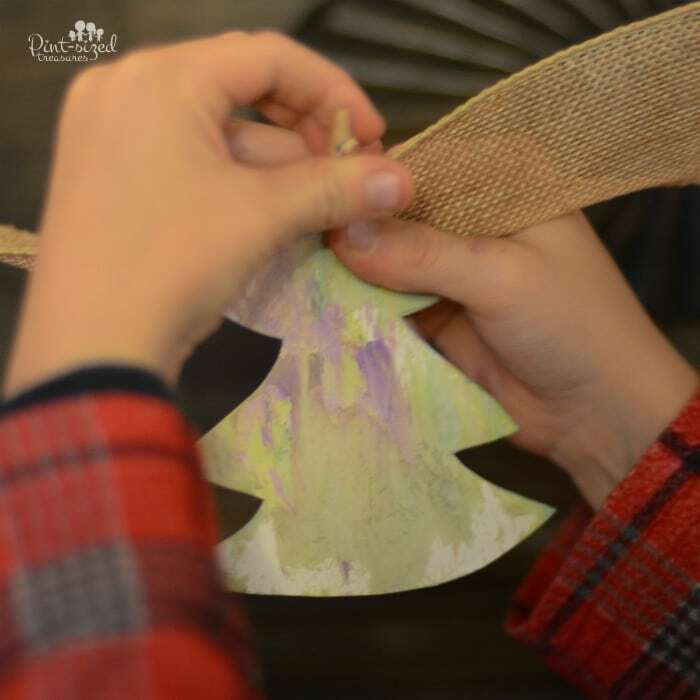 But since Christmas is bustling with activities, we need simple crafts and less-mess crafts! Enter DIY Christmas Tree Garland. 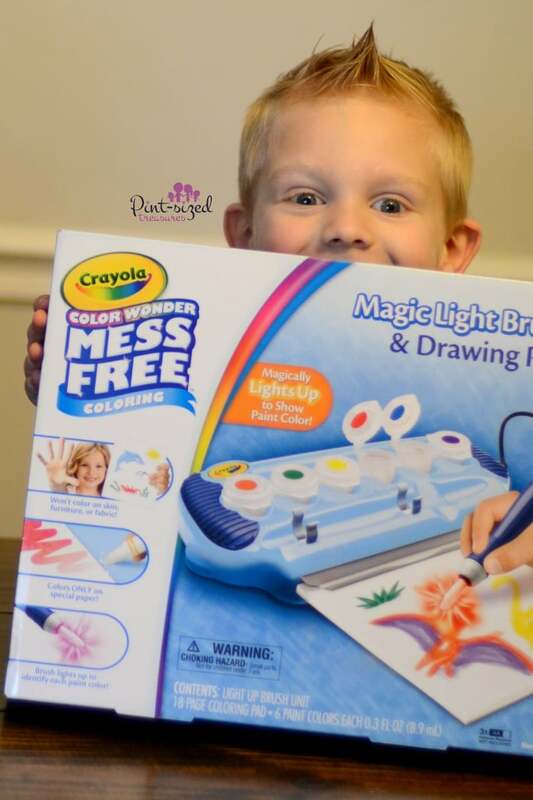 And here’s our secret to keeping it mess-free —- Crayola Color Wonder Magic Light Brush! 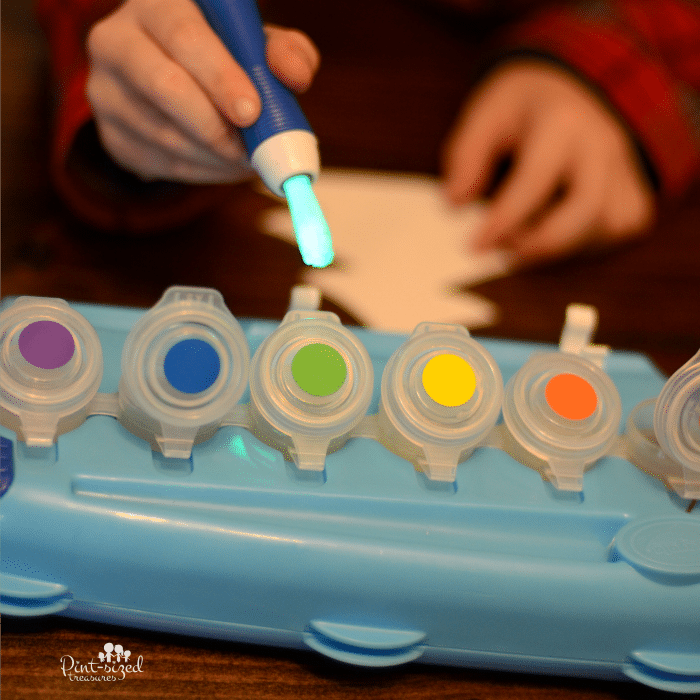 This fun product lets kids create colorful art without the mess! Color Wonder paints are clear and only work on Color Wonder special paper. In mom terms that means the paints won’t color on skin, carpet or furniture! Yay for that! Our little volunteers were awed by the color changing brush! See how it lights up?! And we found out that since this was a no-mess craft, kids can work independently on painting and coloring while a busy mom gets other duties done! Think busy bags, but better! Or, mom can hop right in and make some Christmas tree garlands herself! 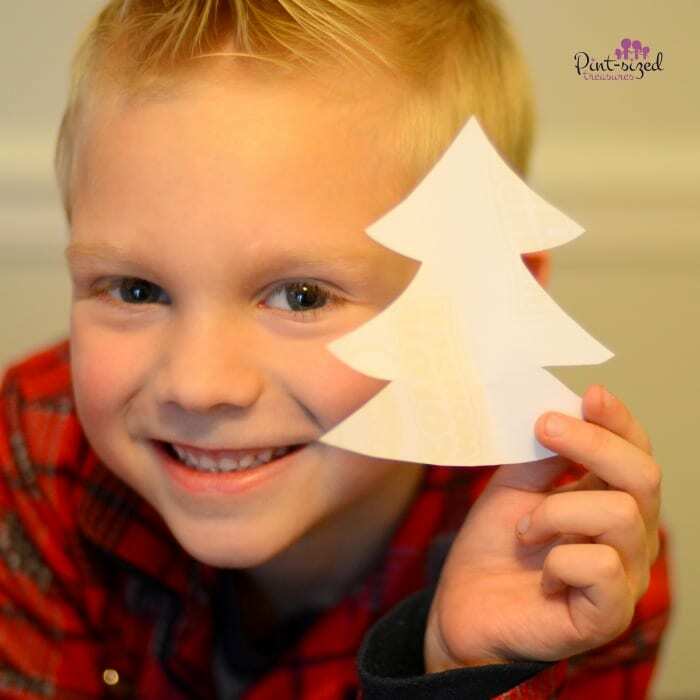 Whatever your holiday schedule looks like, you can make this easy-peasy craft fit right in! 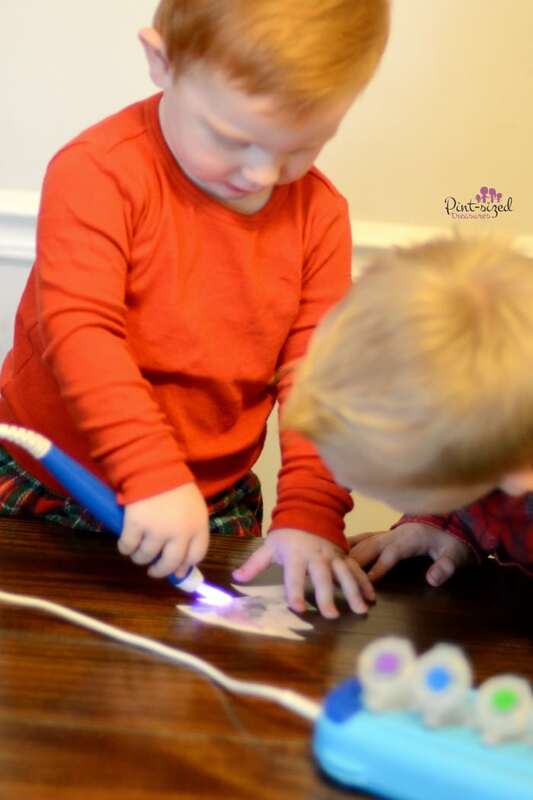 The kiddos love the Magic Light Brush because it lights up to match whatever paint color you’re using — really cool, right?! Dip into green and the brush turns green! Try the blue and it changes to blue! Definitely something to add to your child’s Christmas wish list! It made these Christmas garlands POP with color! And we’re doing a $100 GIVEAWAY for one of YOU to create a HUGE Crayola stash! Crayola Color Wonder Magic Light Brush comes with six classic colors and 18 sheets of Color Wonder Paper. That’s PLENTY to keep little ones creating, crafting and having fun! Crayola Color Wonder Paints helped us create a craft that was all magic and no mess. And moms don’t have to worry about their Christmas decor! The paint colors only appear on Color Wonder special paper. That means it won’t color on skin, fabric or furniture. This fun, new product is recommended for ages 3+. And this simple Christmas tree garland? 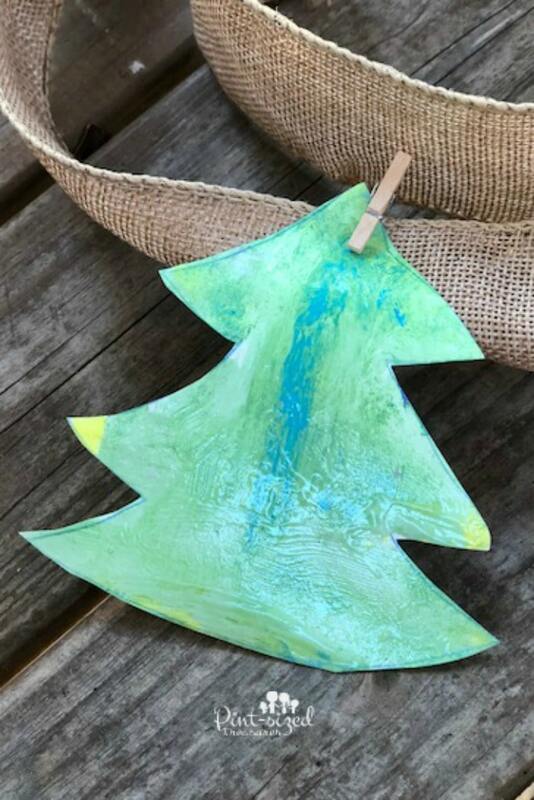 It’s a unique way to let kids take part in decorating your home for the holidays! 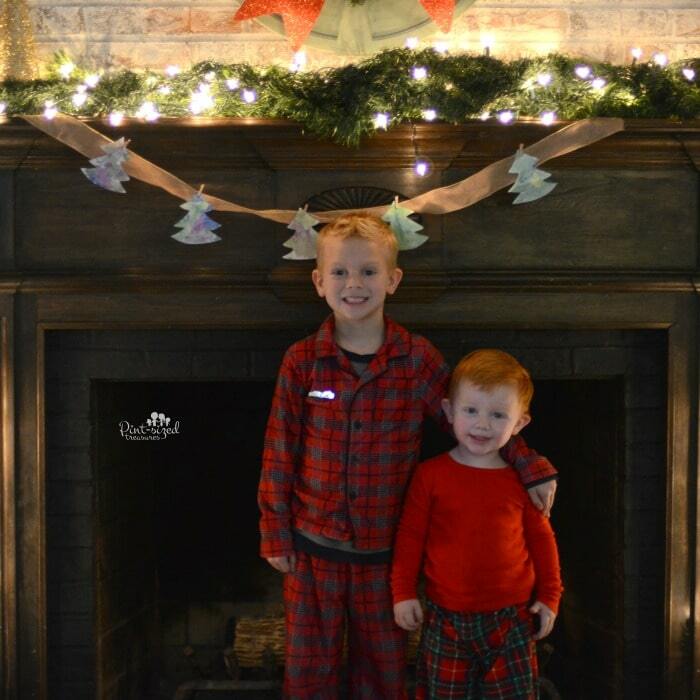 Look at those smiles — Christmas decorating accomplished! And it was mess-free, stress-free and super-fun! Ready to learn how to make this simple garland? 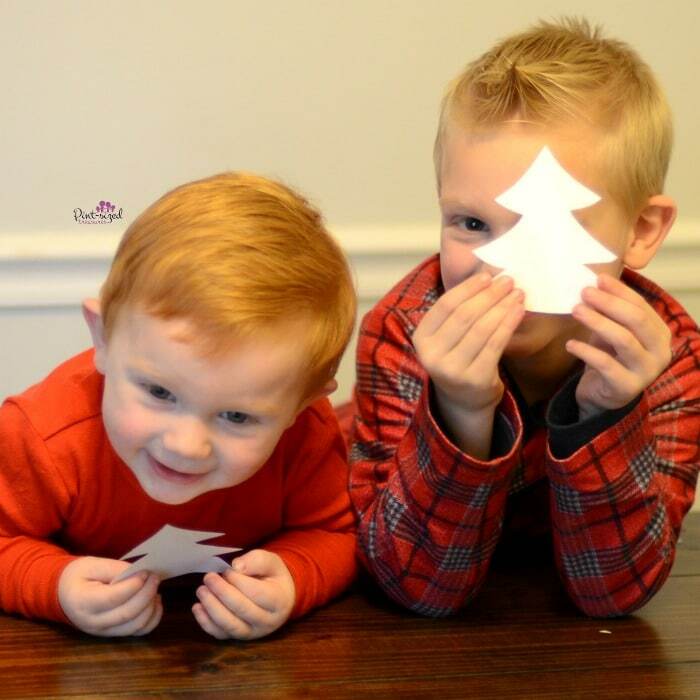 Attach the paper Christmas trees to burlap ribbon with tiny clothespins. Display in your home during the holidays!